NEW DELHI — Although Afghan businesses have long wanted to exploit the potential of India’s huge market, trade between the two countries has been hampered due to their tense relations with Pakistan. But a plane loaded in Kabul with 60 tons of medicinal plants landed in New Delhi this week, raising hopes of giving a major boost to commerce between landlocked Afghanistan and India. The flight flagged off the establishment of a new air cargo corridor between the two countries. Along with another, more long-term initiative to develop the Iranian port of Chabahar, India hopes to ease access to conflict-ridden Afghanistan and eventually to Central Asian countries. 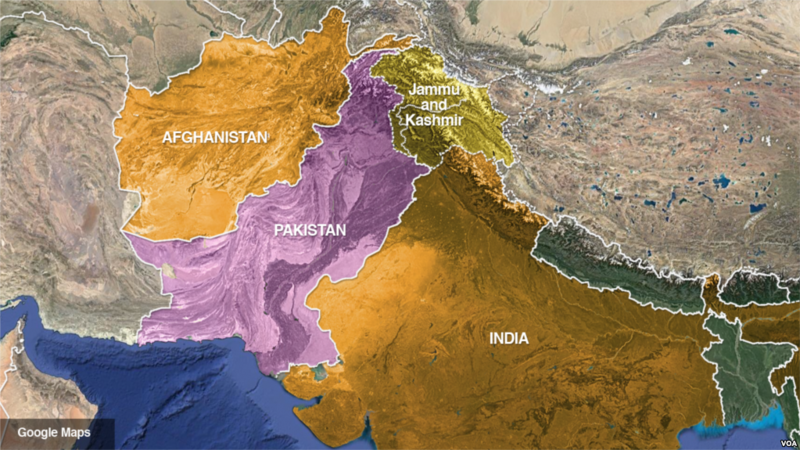 Pakistan allows Afghanistan to send a limited amount of perishable goods over its territory to India, through which the shortest and most cost effective land routes lie. However, India is not allowed to send any imports through Pakistani territory. Indian Prime Minister Narendra Modi and Afghan President Ashraf Ghani decided to establish the air corridor last September after Pakistan rejected fresh calls by the Afghan leader to allow his country to engage in direct trade with India over its territory. Although India is the second largest destination for exports from Afghanistan, this lack of easy access has been a dampener. In New Delhi, officials hope the new corridor will boost annual trade between the two countries from $700 million to $1 billion in three years and give a lift to exports of Afghanistan’s agricultural and carpet industries. A second flight is scheduled to land in New Delhi next week, bringing 40 tons of dried fruit from Kandahar. At a ceremony marking the inaugural flight in Kabul on Monday, Afghan President Ashraf Ghani said he wants to make Afghanistan an exporter country. “As long as we are not an exporter country, then poverty and instability will not be eliminated,” he said. Indian foreign ministry officials say the connectivity will allow Afghan businessmen to leverage India’s economic growth and trade networks for its benefit and give farmers quick access to sell perishable products. Does the air corridor trade have a viable future? A prominent trader in New Delhi, Shyam Sunder Bansal, said he stopped trading with Afghan businesses several years ago due to the challenges such as transit routes, banking and currency facilities. India is hoping to eventually extend air cargo flights to other cities. But Bansal is skeptical whether it will be commercially viable to sustain imports via air. “They cannot continue it forever because that will be unconventional, uneconomical,” he said. However, a South Asia expert with the Indian Institute of Defense Studies and Analyses in New Delhi, Sukh Deo Muni, said since the distance involved is not too long, the air freight corridor could be viable. Afghanistan mainly sends fresh and dried fruits, vegetables and oilseeds to India. It also takes a host of products from India — a flight from New Delhi has carried pharmaceuticals, water purifiers and medical equipment to Kabul as part of the initiative. India has also initiated another key project to develop the Iranian port of Chabahar and open a direct transport corridor to Central Asia and Afghanistan bypassing Pakistan. This would also give Kabul an alternate route to the Indian Ocean, which currently uses the Pakistani port of Karachi for sea trade. There was optimism last year that the project would take off, but it is barely making headway amid fresh worries that the U.S. administration under President Donald Trump may reimpose sanctions on Iran.